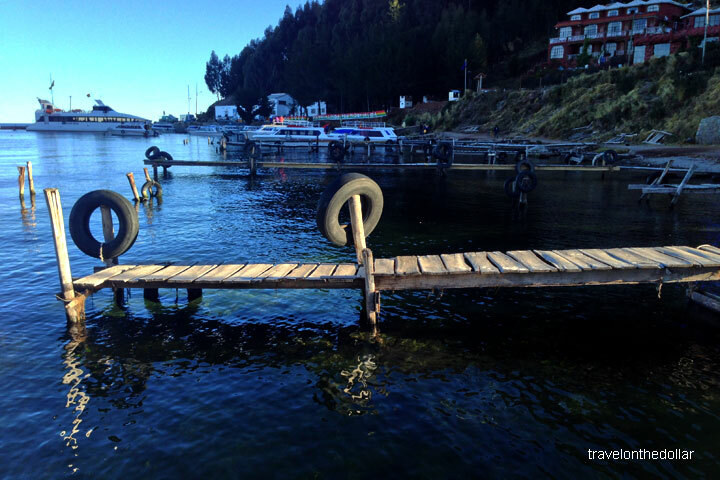 The tiny town of Copacabana is walkable and all the sights to see can be covered in a few hours. After a good breakfast at Utama Hotel, I started exploring the town. First stop was the post office (located inside the police HQ building on the main square) to get the local stamp in the Postal Stamps Travelogue book. With no signs leading to the post office, I ventured around for a while, and even after inquiring about the location, the post office was difficult to find until a woman had to walk me to the door! At every post office I visited on this trip, I was the only person there to get a stamp in my book. It seemed like no one really uses the local postal system in Bolivia. If you are planning to send postcards to your family or friends, it may take a while to reach home, because the postal service doesn’t seem to be efficient enough! Moreover, almost all the stamps in my book had the wrong dates. Walking across the square from the post office is the main sight in Copacabana – The Cathedral. This sparkling white mujedar cathedral dominates the town with its domes and colorful azulejos (blue Portuguese-style ceramic tiles). The cathedral’s black Virgen de Candelaria statue Camarin de la Virgen de Candelaria, carved by Inca Tupac Yupanqui’s grandson, Francisco Yupanqui, is encased above the altar upstairs in a niche note. Visiting hours are unreliable and the statue is never moved from the cathedral. 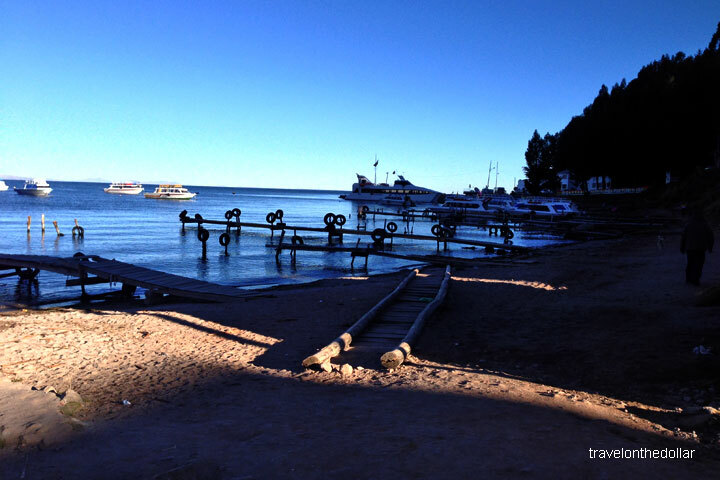 Legend has it that its disturbance would invoke a devastating flood in Lake Titicaca! The Museo de La Catedral (Bs 8) is open to only group of fourm unless you’re ready to pay more. It contains some interesting articles from European and local religious art. Moving on from the square, along Calle Murillo, there’s a sign-posted trail that leads uphill to Horca del Inca (Entrance: Bs 5) which is a pre-Inca astronomical observatory. This odd trilithic gate perched on the hill is surrounded by pierced rocks that allow the sun rays to pass through onto the lintel during the solstice of June 21, the Aymara New year. 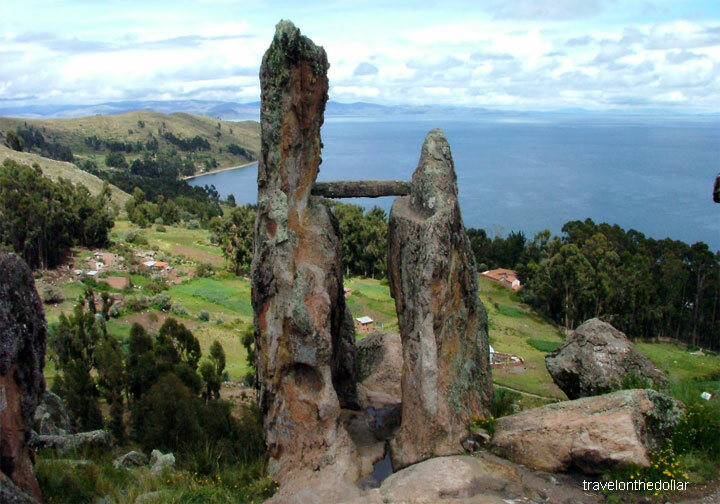 Walk down about 4km further on the same road toward Kasani and you will reach Cerro Kopakati, a carved stone featuring pre-Inca ruins and pictographs. 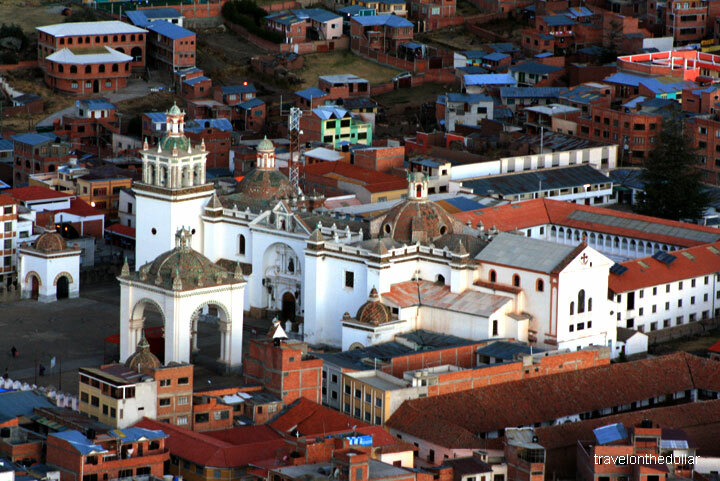 The best known, yet difficult to identify, is the Escudo de la Cultura Chiripa, a unique icon attributed to the pre-Inca Chiripa culture. Heading back to the town, I stopped at one of the many cafes on Ave 6 de Agosto for lunch. And next up was Museo del Poncho (Website: www.museodelponcho.org; Entrance Bs 5), a textile museum spread over two floors giving clear insight into the origins of the poncho. Labels are in English and Spanish. A very relaxing, slow day covering most of what this town has to offer. Called it an early night after a sumptuous dinner at an Italian restaurant on Ave 6 de Agosto.